Sustainable agricultural, forest, Sustainable agricultural, forest, fishing and food systems are essential for food security and sovereignty and can thus enforce the human right to food. 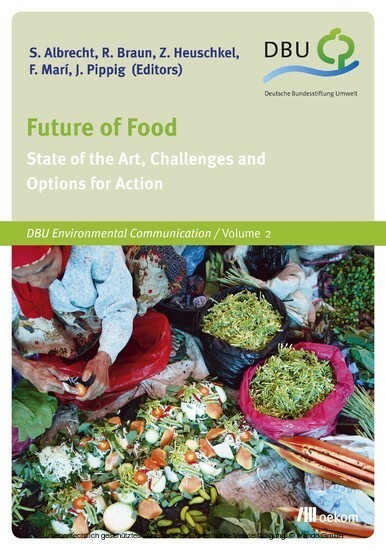 This is the common conviction of the authors of the book 'Future of Food': Experienced and young scientist form Asia, the Americas, Africa, and Europe join the belief that he future of farming and food systems is family farms, vivid regional and local markets, appropriate technology, and renewable energies. 'Future for Food' demonstrates that agricultural and food systems (again) need to be recognized as fundamental parts of all societies. The book argues that, to that end, it is high time to end sectoral thinking and policy-making regarding agriculture. Sustainable development, as characterized by the Brundtland report in 1987 and resolved by the UN Conference on Environment and Development 1992 in Rio de Janeiro, must set up on the great transition of agricultural and food systems toward sustainability. Stephan Albrecht established the Centre for Technology Assessment on Modern Biotechnology at the University of Hamburg, Germany. He has published widely on technology, democracy, and sustainable development issues. From 2003 to 2009 he was board member and chairman of the Federation of German Scientists.Reiner Braun is a trained historian and journalist. Since 2006, he has been working as executive director of both the Federation of German Scientists and the German section of the International Association of Lawyers Against Nuclear Arms. In autumn 2013, he was elected president of the International Peace Bureau.Zoe Heuschkel studied nutrition sciences, cultural and social anthropology and landscape ecology. From 2010 to 2012 Heuschkel was project officer of the >Future of Food project< of the Federation of German Scientists.Francisco Marí is working for the Lutheran Church Development Service, Berlin, Germany, as expert on Agricultural Trade and Fisheries. His focus areas are land tenure and fisheries, especially the role of artisanal fishery for world food security.Julia Pippig graduated in European Studies. Her academic focus lies on European foreign and security policy, global governance and food security. She works for the Federation of German Scientists and is executive board member of INES.